This morning, I started a tutorial for folks whose knowledge of R is (like mine) stuck in 2001. Yesterday I started reading the Rcpp book, and on page 4 there’s an example using the R function replicate, which (a) I’d never heard before, and (b) is super useful. “Oh, replicate must be some new function.” Yeah, new in R version 1.8, in 2003! I’m in serious need of some re-education (e.g., I should be using more of Hadley Wickham’s packages). Hence the beginnings of a tutorial. Last night I was working on a talk on creating effective graphs. Mostly, I needed to update the colors, as there’d been some gaudy ones in its previous form (e.g., slide 22). 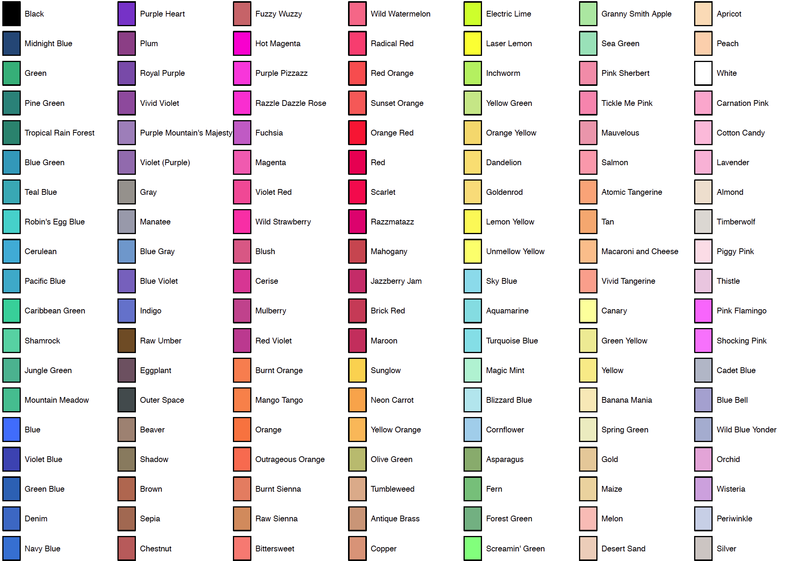 I usually pick colors using the crayons in the Mac Color Picker. But that has just 40 crayons, and I wanted more choices. That led me to the list of Crayola crayon colors on wikipedia. 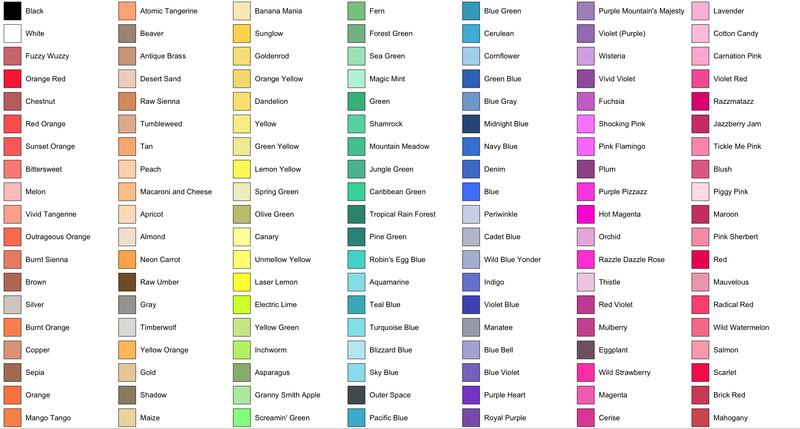 I wrote a ruby script to grab the color names and codes and added them to my R/broman package. You can install the R/broman package using install_github in devtools, (specifically, install_github("kbroman/broman")) or wait a day or two and the version with this code will be on CRAN. Update: See also Two more points about crayon colors.